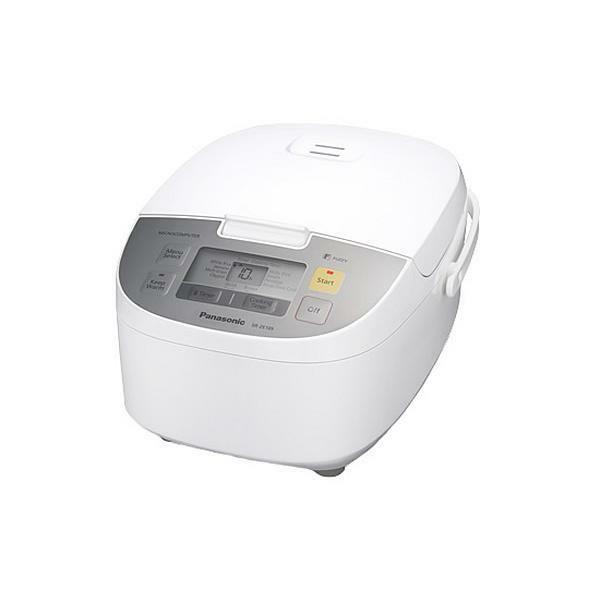 Panasonic 1.0 L (5 cups) electric rice cooker with diamond fluorine coating. This cooker features 11 menu programs, keep warm function and large LCD panel. The strong Diamond Coating on the inner pan can be brushed up to 100,000 times. 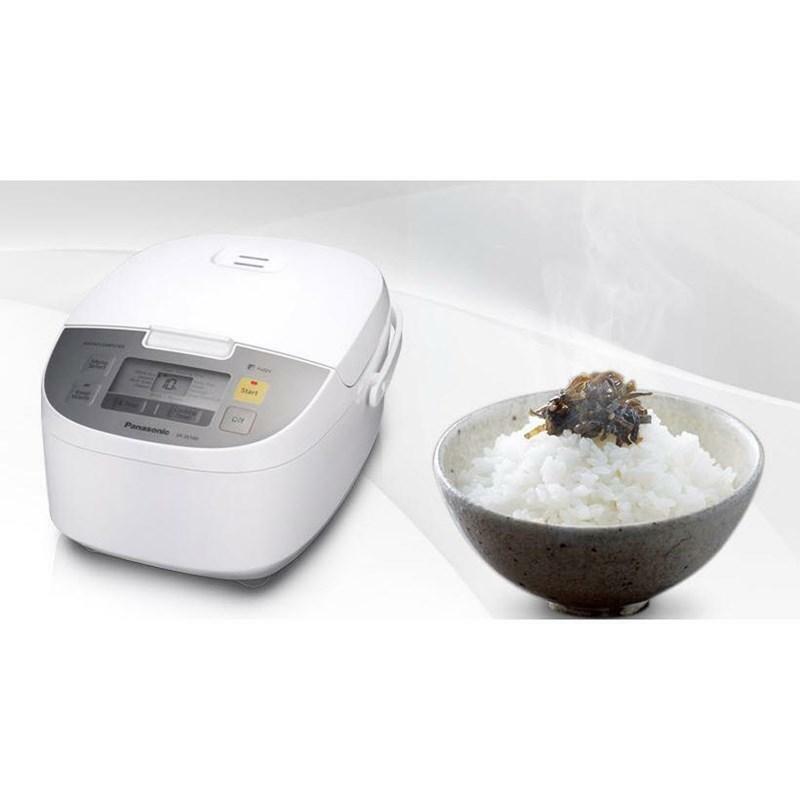 Heat-transmitting and heat-retaining materials optimize the rice cooking process; and, fine bubbles send heat to every grain of rice for better tasting rice. Microcomputer control and advanced Fuzzy Logic ® technology allow for fine-tuned heat regulation. Separate options are provided for cooking short and long grain rice. The large LCD screen on the top panel provides easy-to-see text and simple operation. And, the Water Level Lines have clear, easy-to-read menu names and level markings. The dimples help to conduct heat efficiently and keeps heat on the rice in the pan. *While we place great care into preparing product descriptions and prices, sometimes technical and typographical errors or omissions may occur. Midland Appliance cannot be held responsible for such errors and we apologize for any inconvenience this may cause. Our trained professionals delivery teams will provide delivery, positioning, and removal for a nominal fee if required. We beat any advertised price by 10% of the difference, even after your purchase. For Life. Midland Appliance World offers a wide variety of Appliances. We have thousands of products to choose from, whether you are looking for kitchen appliances, ventilation or laundry appliances. We are proud to carry many of the top named North American brands such as: Jenn-Air, KitchenAid, LG, Maytag, Moffat, Thermador & Whirlpool, just to name a few. We also offer an installation and a parts service. Visit one of our showrooms today and meet with our experts. Furnishing your home is more than just filling rooms with furniture. It’s a labor of love that involves the heart and the soul. At BrandSource, you’ll find more than just great products for your home. We deliver inspiration! Visit our blog that will inspire you with ideas and advice. I agree to receive the Midland Appliance newsletter containing news, updates and promotional offers. © Midland Appliance 2019 | All rights reserved.